The Magic Carpet Cleaning company always justifies the trust and the high expectations of our customers from Wimbledon SW19. Call us now on 0208 861 0979 to get your home or office carpets cleaned. You can take advantage from our special offers for a complete cleaning of carpets for residences, offices, shops and commercial buildings. Our reliable carpet cleaners use the most advanced hot water extraction methods to deliver top results for you. We are sure that once you try our local services we will establish a happy long-term business relationship. All our cleaning teams are composed of highly qualified professionals. Their skills are certified by leading industry standards. We use hot water when treating your home carpet with Steam Cleaning process. This allows us to eliminate all germs responsible for diseases and allergies in your house and office. In our field, the method is recognized as one of the most efficient one. It is recommended even for families with children and animals by leading manufacturers and furnishing cleaning providers. Our teams proceed by bringing detergents in the treated tissues under high pressure, and then extracting them all at once with the dirt. By removing soil, allergens are also destroyed from the surface of the rug. Sanitation teams execute our work to perfection with the necessary equipment and detergents. 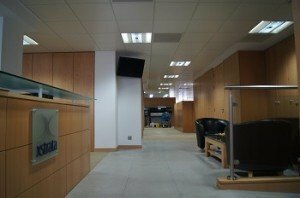 The dry carpet treatment process is recommended for cleaning shops, offices and public buildings. As its name suggests, it consists of processing fibres without water or steam, which is an advantage for places that attract many people. This treatment does not need drying time of the treated fabrics. Another plus is that it prevents the formation of mold. The process consists of rubbing the necessary cleansing agents in dry powder form in the textile floor, then vacuuming them up with vacuum to remove stains. We work with 98% biodegradable products, which protect the environment. If you want the best results, contact the best experts at 0208 861 0979! To achieve the cleanest home or office, to get rid of dirt, dust and spots – do not hesitate to contact our professionals at 0208 861 0979! 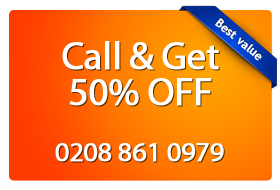 You will receive the best cleaning quote in the whole London! Our friendly staff can answer all your questions regarding our steam cleaning procedure or products we use. You can arrange a visit for a same-day, weekend and even Bank holiday service. Our local Magic Carpet Cleaning team will ensure you get the best service for your home. Don’t hesitate to contact us now and get your carpet or rug cleaned by one of the best technicians around.